Our March meeting takes place tonight in Lake Oswego, Oregon — anyone is welcome! See the Next Meeting page for details. We publish “minutes” as the Flutterings column in our newsletter, The Vexilloid Tabloid. Here are the Flutterings from our last meeting as reported in VexTab 56 (with many photos at the end). 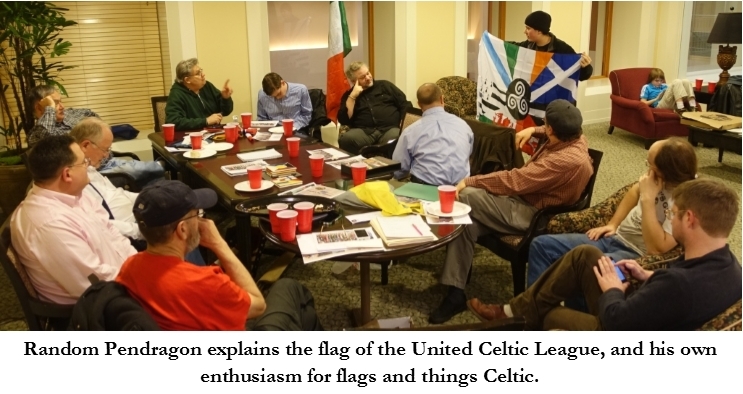 In our January meeting, hosted by Jessie Spillers, 14 PFA members enjoyed a lively evening of flags. As the host, Jessie led the introductions and moderated the discussion. We began by wishing Michael Orelove a speedy recovery from his heart attack and surgery. On behalf of Michael Orelove, Ted Kaye read Michael’s recent correspondence with the city of Atlanta, along with the protocol for half-staffing a flag (and showed a black ribbon). 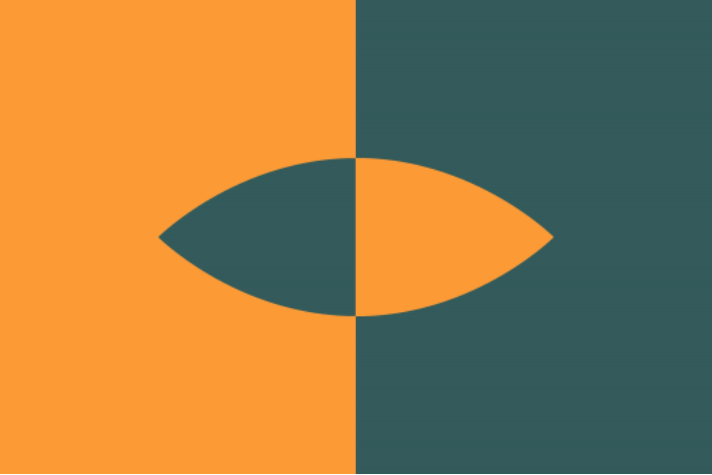 David Koski debuted his flag for the year 2016, and described his new enthusiasm for counterchanging as a way to “complicate a design in a simple way”. 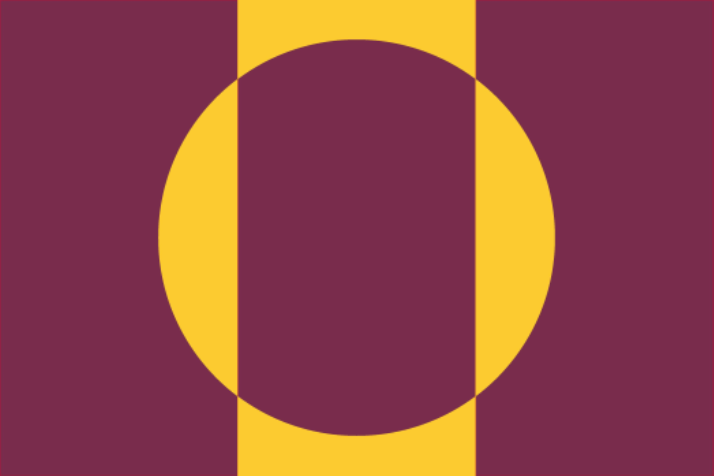 While designing a flag for the year 2016, I was reminded how counterchanging can take something very mundane and add a bit more interest, and how it seems to be used less often that it deserves. 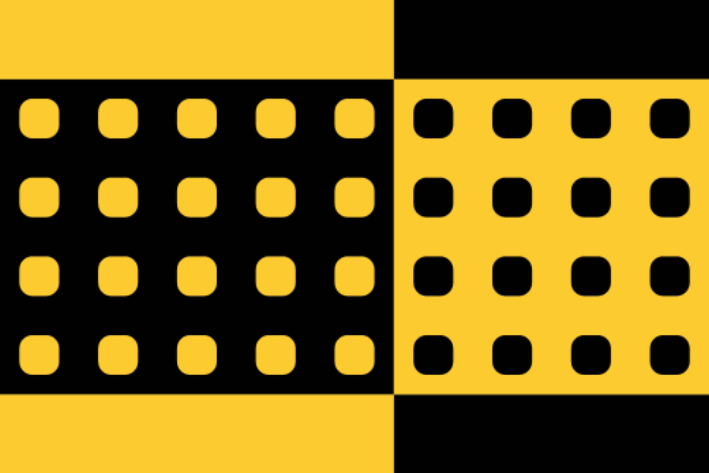 Here I present a few more arbitrary flag designs (representing nothing) to show what a striking effect counterchanging can have. 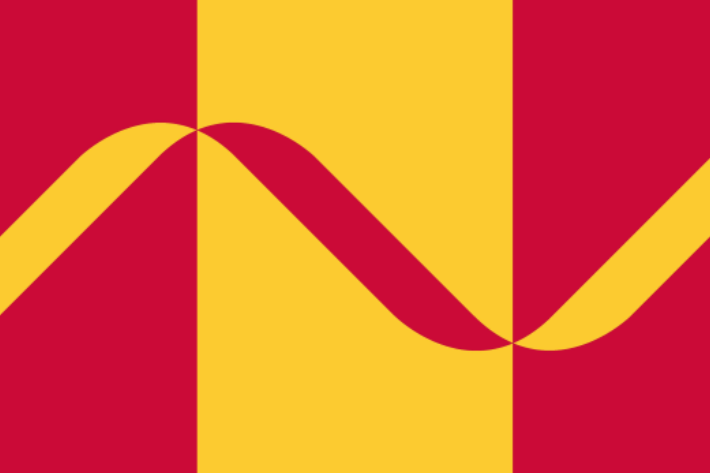 Exploration of counterchanged flags merits further study by vexillologists. The Year 2016 as 20 + 16, counterchanged. 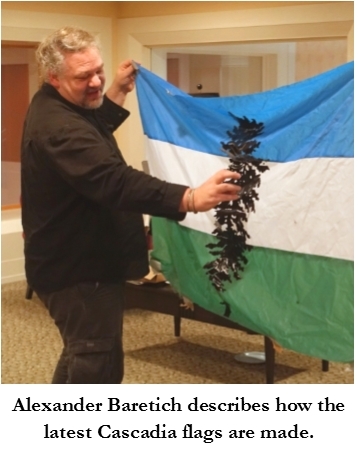 Alexander Baretich reported on his efforts to launch a cooperative to make Cascadia flags; we provided suggestions on fabrics and tailors. After seeing a “not available in Minnesota” flag ad, Carl Larson learned how, by Minnesota law, American flags sold there had to be U.S.A.-made. 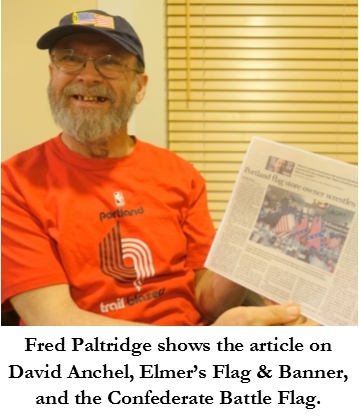 Fred Paltridge shared several recent flag-related Oregonian articles. 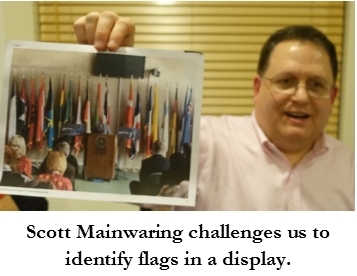 Scott Mainwaring posed a quiz based on a Dallas, Texas, photo op, to identify the background flags. The assembled correctly identified 18 of 19 flags (Eritrea was the holdout). He also reported on a Howard Zinn flag quote and how its use on flags has recently spread widely in popular culture (see There Is No Flag Large Enough…). 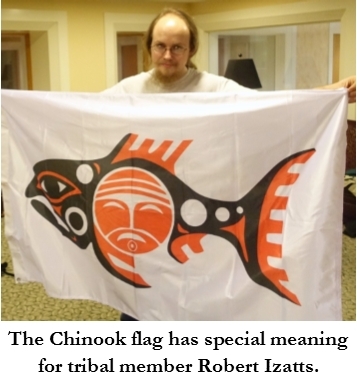 Robert Izatt, a Chinook tribal member, showed its flag (bought from TME Co. in Connecticut). 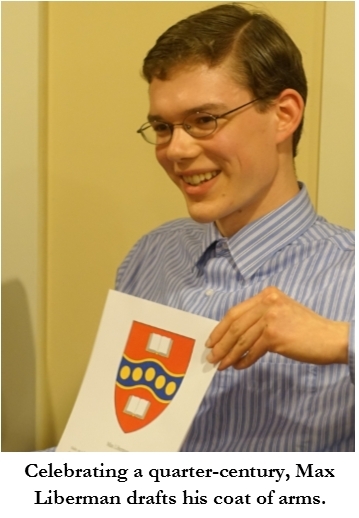 Max Liberman had celebrated his 25th birthday by drafting a personal coat of arms and a resulting flag using five bezants and two books; members provided feedback. 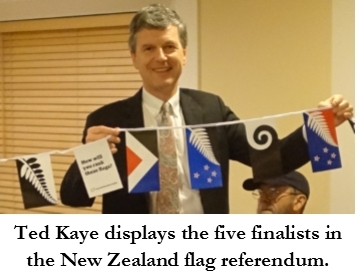 Using materials sent from New Zealand by its leading vexo (John Moody), Ted Kaye showed the process through which Kiwis voted in the recent flag referendum. 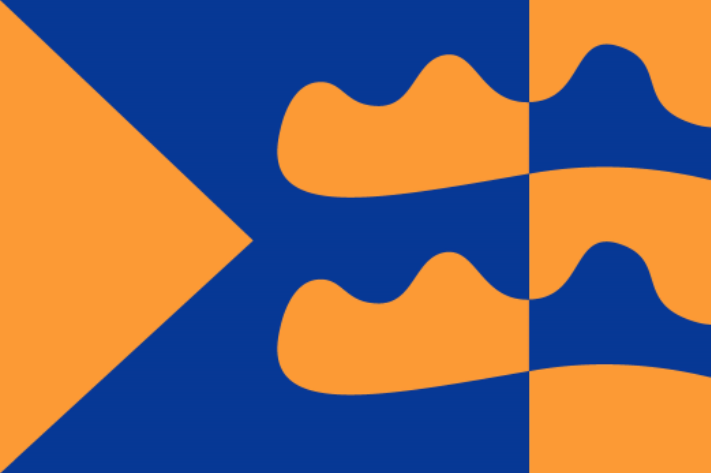 He also described ongoing efforts to change U.S. city and state flags—the most recent being New Jersey—and the rekindling of the Fiji flag redesign effort. 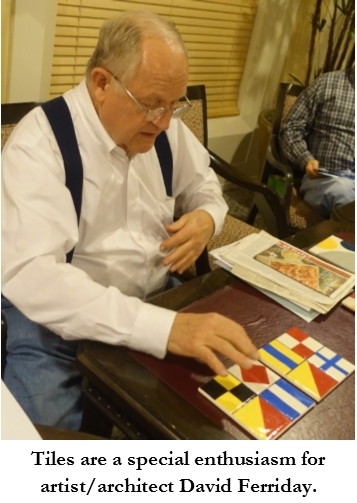 David Ferriday showed more flag-related tiles and led a discussion on primary colors, the color green, and their use in flags and design. 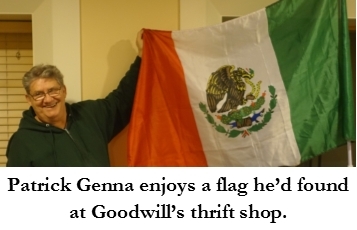 Patrick Genna, with his usual generosity, gave away flags he’d recently bought at Goodwill. 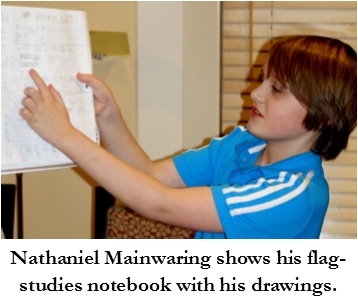 Nathaniel Mainwaring, who studies flags in 4th grade and enjoys drawing them, shared his notebook and asked for “funwork” suggestions. 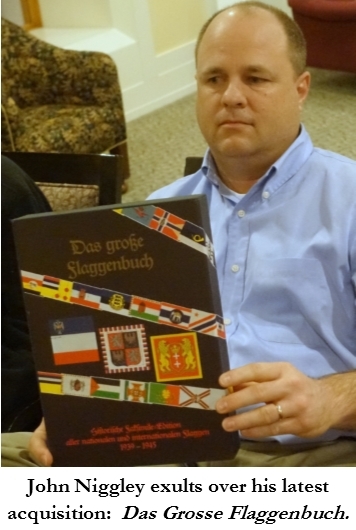 John Niggley gave Fred Paltridge a Childe Hassam flag print, and showed a new purchase: the 1992 facsimile reprint of the 1939 Flaggenbuch—the Ottfried Neubecker masterwork. He described his project for employer Pacific Power to erect a 70-foot flag pole (with a 12’ x 18’ flag) at its service center in Roseburg, Oregon. 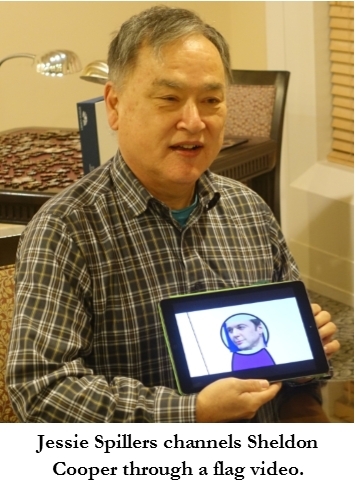 Our next meeting will be at the home of John Schilke on March 10th. The PFA flag will find its way there somehow!